Mitchell Custer has been raised in California and is still here striving to make a difference in his community. In one way or another he has been a part of the sports world since his youth. In 2013 he found a driving fascination for body movement and function by discovering longevity, performance gains and economy of motion that comes from a deeper understanding of those principles. In 2014 Mitchell began to follow this new passion at Norcal Health Works in Sacramento as a physical fitness trainer helping fellow gym members and clients achieve their fitness goals. During this time, he also continued his education in body mechanics and fitness. In 2015 he became a CrossFit level 1 coach and attended a Poliquin Group body composition seminar. Later that same year he also attended a Kabuki Strength seminar for KMS (Kabuki Movement System) which covers stabilization principles and proper body mechanics. In 2016 Mitchell graduated from Massage Institute of Davis’s 500-hour program covering sports massage, medical massage, Thai massage, and deep tissue techniques. In the same year Mitchell successfully completed and became full body certified in ART (Active Release Techniques) and went on to also become Spine certified in Functional Release Technique. 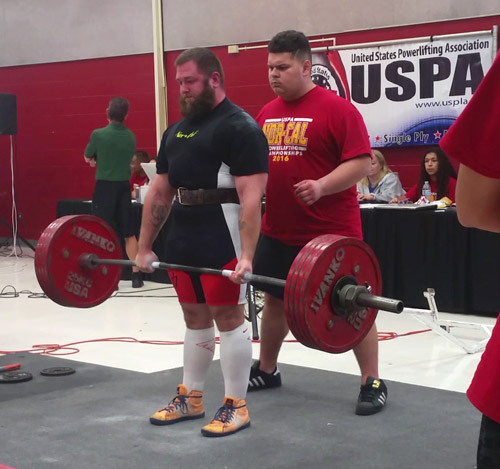 Mitchell powerlifting at a USPA event. Mitchell has always had an active lifestyle growing up. He has participated in baseball, soccer and rugby all the way up through High School. One thing that he recognized around the age of 11 was that building the body was essential to longevity. The fact that he was gifted the encyclopedia of bodybuilding authored by Arnold Schwarzenegger helped a little. This was the beginning of an obsession with strength sports. Mitchell started doing bodybuilding routines with the High School Football team beginning his sophomore year and hasn’t looked back. 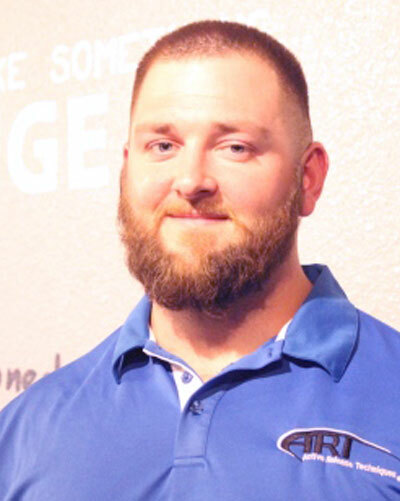 From 2012 to current, his sole focus has been on Strongman competitions and Powerlifting. Mitchell has competed in multiple Strongman competitions and now dedicates most of his time competing in Powerlifting. Being able to lift a 220 pound stone over a 56” bar just wasn’t enough, so he had to find out if he could squat and deadlift over 800 pounds. Mitchell believes that anyone from age 4 to the ripe young age of 80 can benefit from strength training and pushing the limits of the body in a safe fashion. He has been working at a local gym since 2014 doing just that. Helping people move, then move better all without pain.